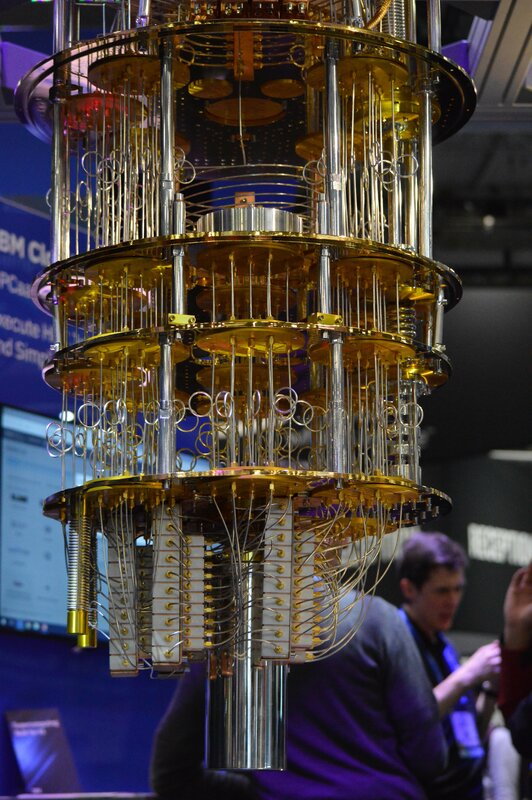 At the Consumer Electronics Show in Las Vegas, IBM unveiled a new quantum computer that is more reliable than its previous experimental prototypes, bringing the company a step closer to commercialization of this technology. The machine, which it claims is the first integrated, general-purpose quantum computer, has been named the 'Q System One.' To mark what it calls "an iconic moment" for the business, IBM turned to designers at Map Project Office and Universal Design Studio, tasking them with developing a unique glass enclosure. Rather than operating with bits that are in the state of 0 or 1, like classical computers, IBM’s circuit model quantum computer has trapped quantum bits that can appear in both states at once (known as superposition), theoretically allowing for significantly more computing power - for the right applications. IBM previously announced a 50-qubit prototype, and a more stable 20-qubit system, but both were spread over a large area and far from production-ready. The 20-qubit System One is an effort to improve on the existing design, moving all the aspects of the machine into a single air-tight box. The System One is enclosed in a nine foot sealed cube, made of half-inch thick borosilicate glass. The case opens using “roto-translation,” or motor-driven rotation around two displaced axes - something the company says simplifies the system’s maintenance and upgrade process, and minimizes downtime. 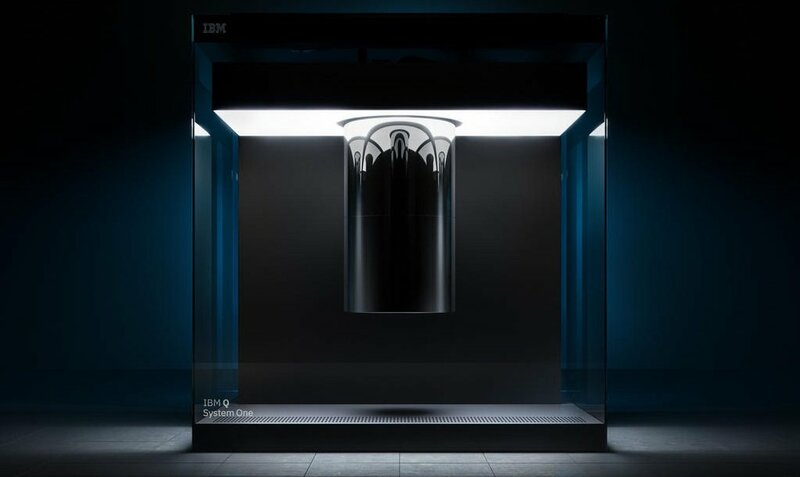 “The IBM Q System One is a major step forward in the commercialization of quantum computing,” Arvind Krishna, SVP of Hybrid Cloud and director of IBM Research, said. 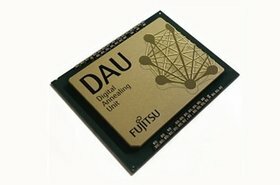 Even though IBM stated repeatedly that the design makes the System One ready for commercial use, it will not be available for commercial purchase. Instead, the company will build a Q Quantum Computation Center for commercial clients in Poughkeepsie, New York, later this year, to house an as-of-yet undecided number of System Ones. 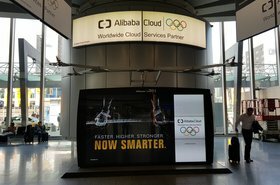 The company called New York "one of the few places in the world with the technical capabilities, infrastructure and expertise to run a quantum computation center, including access to high-performance computing systems and a high availability data center needed to work alongside quantum computers." The systems will be available though IBM's Q Network cloud service. At CES, the company announced that energy giant ExxonMobil and European research lab CERN joined the growing list of organizations experimenting with its quantum tech. 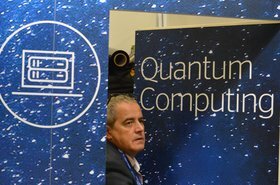 IBM is not alone in developing quantum systems, with Intel working on a 49 qubit chip, Google designing a 72-qubit system known as Bristlecone, and Microsoft hoping to create a topological quantum computer. It is hard to accurately compare these systems, with researchers often relying on different approaches (and keeping specifics to themselves). In today's announcement, however, IBM said that it had reached the highest coherence time - the duration of quantum superposition in which a qubit exists - that was better than any other general-purpose quantum machine. The system managed 75 microseconds.